prepare for such law school journey to 1 day, in due course procure a juris doctor degree. (law degree)after law school implementation. "Oh you're not able to sue child protection agency state employees of any kind, "can't sue a state employee." #TEAMWORK makes the dream of holding abhorrent CPS employee(s)accountable,when injured violated of one's Civil/Fundamental/Constitutional rights, and or others who have violated you,and the MOST beautiful part of your every waking day, and that is your grandchildren,children,family as a whole. Deadline(s)do exist,throughout suit." 1-929-277-7848. #SueChildProtectionServices by deadline pro-se self file, or remain violated." #YOURCHOICE #YOUDECIDE #OURRightsDoMatter #LawsuitAgainstCHILDPROTECTIONSERVICES 1-929-277-7848. Media aired her harrowing story while fighting(without a lawyer pro-se)and she later WON. MS.S.MELENDEZ, C.E.O., the founder/owner of the nation's most powerful#effective consulting winning ctr., #WON shall procure her juris doctor(law degree)in due course.Meanwhile she continue to do what others have not and we commend her,as lawyers regularly do for years, and what a difference she continue to make when the one's who are basically "forgotten" when a lawyer do not "sue for damages" associated with per injury to the truly innocent.She is lauded for years, weekly and shall after law school be the kind of new-wave lawyer most today are not. #TRUE inspiration. ​Help form however, MUST be filled out prior to calling her very busy 1 of a kind network." When you're NOT sittin'around and bemoaning(complaining) day in day out, online,or procrastinating you too can become a CHAMP when you're gearing up to sue child protection abhorrent worker's who has violated your right. She won the right without a "lawyer"
to see her lawsuit for $50 million in damages move forward. and the rest is history. After so many lawyers were attempting to mislead her by stating such falsehood insofar as, "'You are not able to file a lawsuit against any state employee et.al.," and how it can't be done especially when a child was as injured as her daughter's and her were. ​and child protection agency workers abhorrent caseworker's nationwide. Good luck to you and remember. busy #effective POWERHOUSE WOMEN WON NETWORK help/hotline today." ​and talks with owner here @ WON E-law student consulting research ACTION Powerhouse Women Network, and disclose such winning suit against DYFS,(dcf) fact(s)analogous, to her daughter's most horrific factual suit. Department of Children & Families social worker admit that this is all "common practice" involving such agency, child et.al., and or ignoring court orders. . . Such suit, says the lawyer had settled, to avoid a trial, that he said would've expose that #DCPP #DCF has not changed from when they were(publicly verified)under FEDERAL watch, from a horrific case involving the brothers(now grown)of young Faheem Williams RIP who was only seven when he was sadly abused under state supervision and killed early 2000's. Lawyer for such child-teen said, "DCF IGNORE repeated court orders." 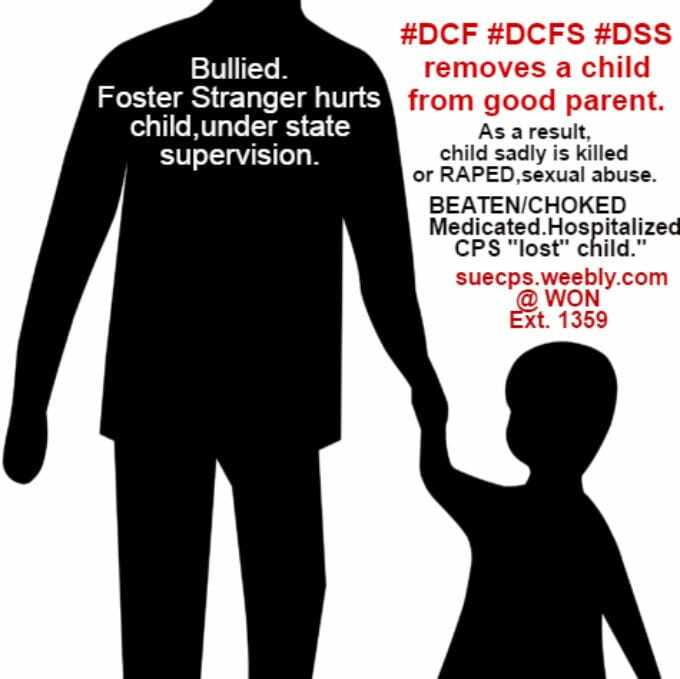 Such child was seriously injured while residing in state "care" + under DCPP DCF "supervision." Caseworker sadly again fails another child by not adhering to such law(s) policies in which the child sadly was harmed." left child in "abusive placement with a troubled dangerous foster stranger. Failed to check on the child(but said she did)while failing to keep a visit-log for such and on each visit,the outcome, and lied on doing "placement in foster care background on such child's placement." The lawyer, while conferencing directly with our founder the owner,ms.melendez(ext.806) about winning such is quite analogous, to her family suit, that had been filed for $50Million for almost a decade of similar facts and a magistrate approved the owner of WON e-lawstudent winning network,her family civil rights suit to move forward..."
We continue to thank all for their support, and for your prayers on the owner's suit and her daughter's. We pray for all who are wisely & timely(by deadline)suing and holding in a timely fashion CPS ACCOUNTABLE." Sitting on the net bemoaning/complaining shall continue to get you no where(as far as) where you're needing to be. Such strategic action(timely)can only do that everyone when injured and violated,by ACS,DCF,CYS,DFPS,DHS. FILL OUT HELP FORM (then call in)to begin 1-on-1 session same day."